Before we get so used to this kind of barrage that it becomes tired and boring—if we aren’t there already—I would like to take a moment to appreciate just how aggressive the Rockets were tonight (and are generally) about pumping up shots from deep. NBA teams have attempted more than 50 three-pointers in regulation 28 times in NBA history. Every one of those games has come since October 2016, and Houston accounts for a whopping 22 of them. Wednesday night, against the Wizards, 55 of the 85 shots attempted by the Rockets came from beyond the arc, which strikes me as just an insane ratio. Maybe you will find this next stat less interesting than I did, but I was pretty well blown away by it: eight players (Chris Paul, Eric Gordon, P.J. Tucker, Gerald Green, Danuel House, Gary Clark, Marquese Chriss, and Michael Carter-Williams) combined for 42 of Houston’s 55 attempts from deep, and just 49 total shots. Houston’s bench combined to attempt 26 shots from the floor, of which just four were from inside the three-point line. This kind of performance doesn’t necessarily mean the Rockets are all the way back. They did this against the dreaded Wizards, who might be the laziest, most disinterested team in recent NBA history. 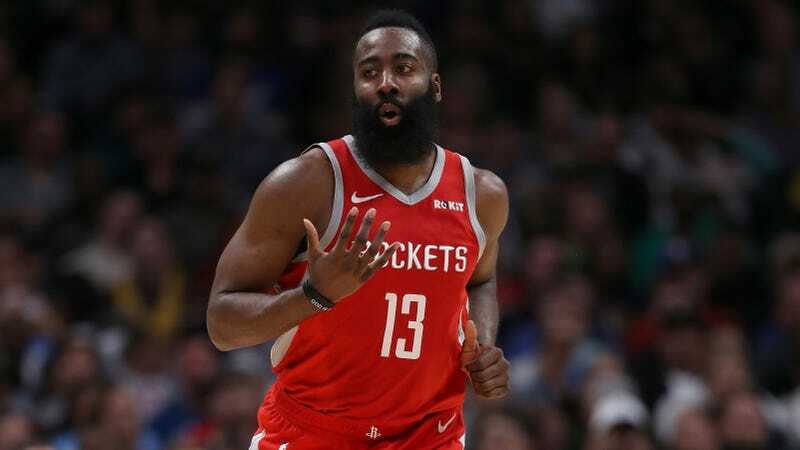 But Houston has now won five in a row, and they’re a couple games over .500, and their offensive rating has jumped all the way into the league’s top five, and their net rating is finally positive. If they’re back, that’s scary news for the rest of the league. Their style isn’t balanced or pretty, but when it works it doesn’t have to be.